We are in an every changing world where there is a constant expansion in consumer choices and customer expectations. Many business owners still need to be convinced that enhancing the quality of customer service is essential to increase brand quality and generate more revenue. Customer experience is the total sum of conclusive events, which are classified as series of interactions between customer and the company. Customers will business with you if and only if they like you and continue to like you. Customer experience is something that should be manufactured and prepared for the customer. Organizations need to build an infrastructure, which should be a combination of mobile, cloud, social apps, CRM, data source, community platforms and related technologies. This allows the customers to do whatever they want and however they want. These days, customers are more educated and empowered and are provided with more options than ever before. Customers want choices and at the same time they should be able to trust the brand. Companies should make smart choices to understand their customer’s needs in a better way. A new research conducted in the past 6 months has reinforced why all the organizations should focus on improving customer service skills and customer experience. It can take a while to go through the papers to find the statistics that are truly important for you. To help you find relevant statistics and save your time, we created a definitive list of most important customer statistics and facts. Below are the top 10 shocking customer service statistics that will make you think twice about the customer support service of your organization. Companies should know that customers are no longer satisfied with just a promise of good experience, but a guaranteed positive customer experience, which will eventually help organizations increase revenue. Nearly 55% of consumers became potential customers based on its reputation for great customer service. 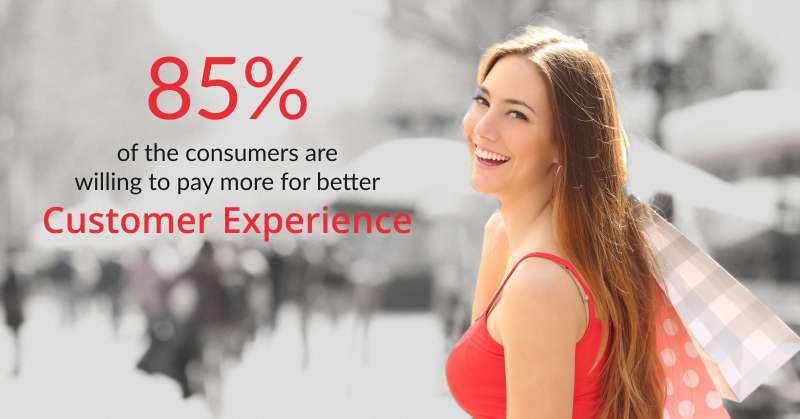 85% of the consumers are willing to pay more for upgraded experience. Customers would be willing to pay more to ensure a superior customer experience. Additionally, upgraded user experience can generate incremental revenue and strengthen customer loyalty. By focusing on delivering exceptional customer experiences, businesses have an opportunity to grow their customer base and improve overall revenue. 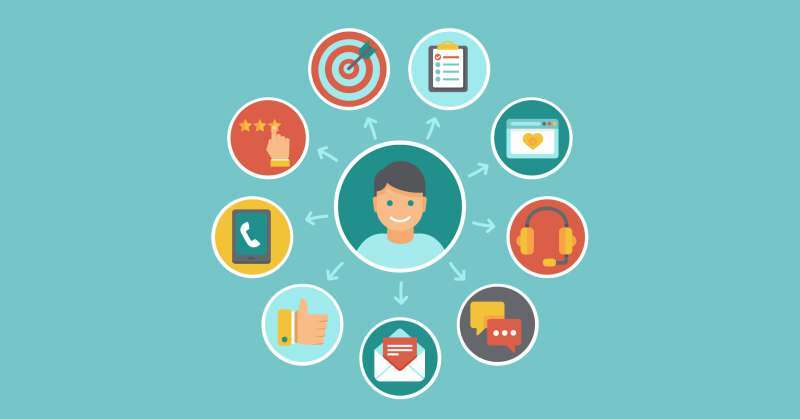 72% of satisfied customers will share their experience with 6 or more than 6 people. Customer service is still the number one reason why consumers recommend an organization. Word of mouth can highly influence the consumers. In a survey, it was found that nearly 13% of frustrated customers will tell 15 or more people about their bad experience and discourage others from buying from that company. 91% of unhappy customers leave without complaining. More than 90% of unhappy customers will never complain, but will tell their friends and followers. One of the best ways to protect your online reputation is to ensure top quality customer service. You can increase your profits up to 125% by increasing customer retention. 65% of companies are able to cross-sell to existing customers and only 12% of companies are able to cross-sell to new customers. Good customer experience is one of the important factors that help companies retain existing customers. It becomes a difficult task for companies to find new customers, which can be due to lack of pre-sales support. 2 out of 3 consumers switch to other service providers due to poor customer service. This can be because the consumer – feels unappreciated or tired of being kept on-hold, put-off by unhelpful staff, fed up speaking with multiple employees, annoyed with lack of knowledge. Companies should shift from company-centric behavior and focus more on customer-centric models to generate mutual benefits for customers as well as company. You can improve customer experience by resolving the complaint during the first interaction in customer’s favor. Consumers expect the company to provide a self-service portal. According to the report provided by Global state of Multi-channel Customer Service Report – Consumers will have a favorable view, if the company provides a mobile responsive self-service portal. More than 80% of customer centers say that their existing technology and customer service system won’t be able to meet the future needs of customers. Consumers are adopting new trends and technology and wish that the companies meet their technological requirements as well. Customer centers should provide more consistent support across multiple channels that customers use. Consumers prefer resolving their issues using variety of touch points such as – telephone, face-to-face, email or company website, test message, live chat and social networking sites. To cater the customer service preferences in future, companies need to stay up to date with current trends and technologies. 80% of the customers are influenced by the online reviews while choosing a product or service. There is no doubt that online reviews influence the customers. When a potential customer goes online to check your products and services, hopefully he/she will know more about bad customer experiences than good ones. Businesses should have a policy to respond openly to the negative reviews to gain customer’s trust. We hope these statistics help your teams become more data driven and are beneficial for your business needs. The main aim of companies should be to know more about building infrastructure to enable customers choose and personalize their experience, rather than knowing what their customer wants. Companies should utilize the right technologies that are designed for continuous improvement based on customer feedback. Most of the companies are not investing enough to train their employees on effective use of latest technologies. The bottom line is that companies should understand and be committed to improve overall customer experience. Poor customer experience is the gift you can give to your competitors. In today’s digital economy, companies should select right customer service tools and respond to the customer on a variety of channels such as – social media, email, telephone or live chat. Besides this, companies should focus more on cloud computing, self-service portal, global support and knowledge base practices.